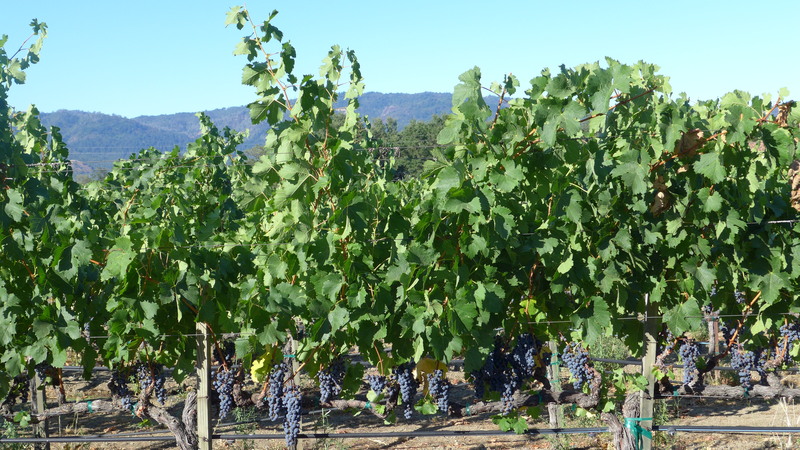 Napa and its valley are known for wineries, and the territory lives up to expectations. There are fields of grapes everywhere you look. 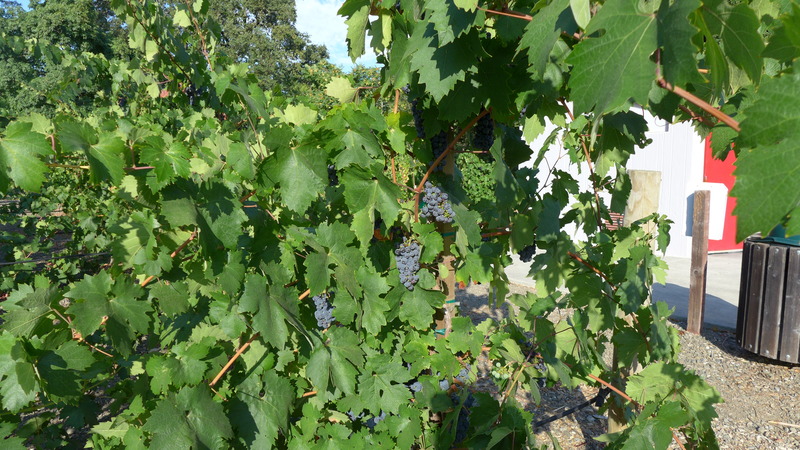 I even found a small plot of grapes in a small park in St. Helena, the town where our conference was held. My guess is that this is to give the grapes more sun. This would also make them easier to pick, but I think the savings in labor at that point would be balanced out by the work of pulling each laden vine down. 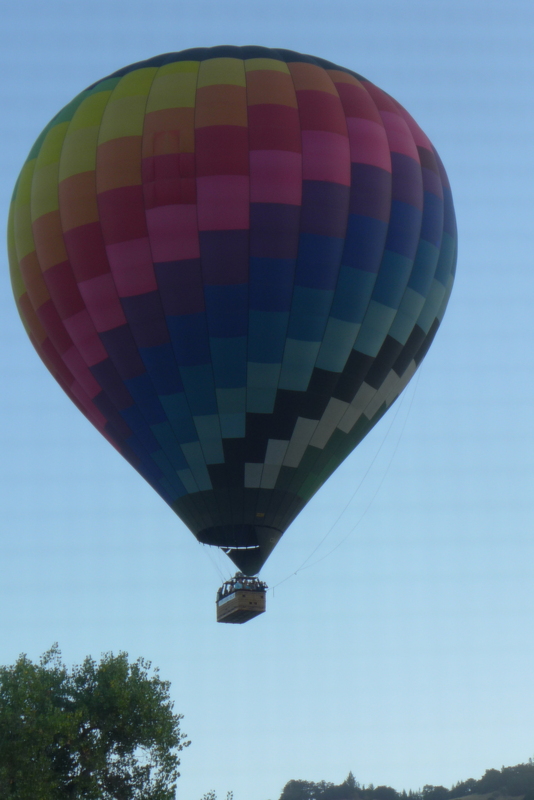 Though New Mexico is famous for its balloon events, I had never seen one being filled. A slow process, requiring patience, and from the look of the number of people walking around, considerable co-operation and precision. 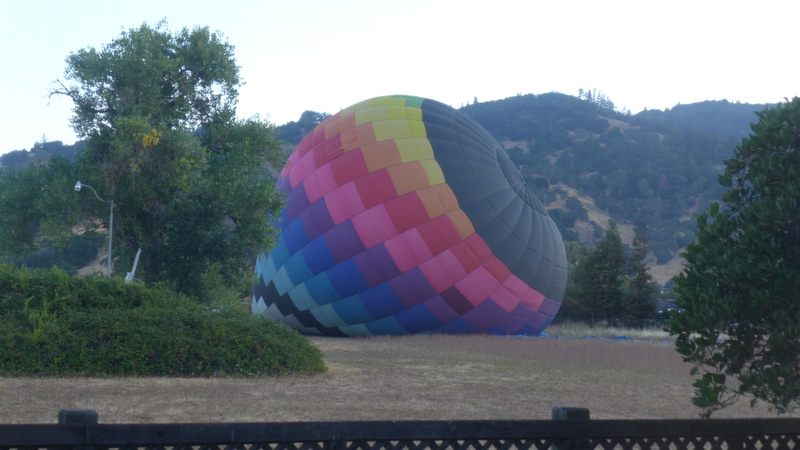 I continued to watch until the balloon left the ground. 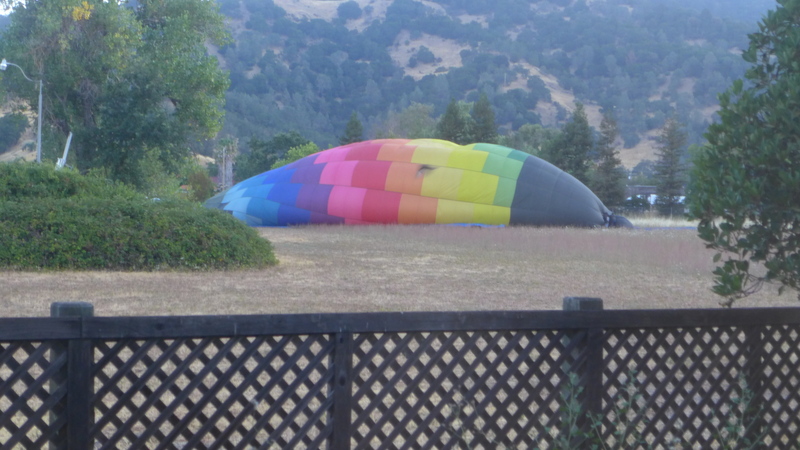 Two people remained behind to fold up the ground cloths which had protected the balloon from the dirt. By the time I left for my workshop, I could find no trace of the balloon in the sky.